One of the most important tasks when working from home sometimes is leaving the house to get work done—to hold meetings, to collaborate on projects, to avoid eye contact with playful dust bunnies begging to be chased. Venice thrives on creative entrepreneurial energy, and finding the most productive space to work is all part of the process. From TOMS backyard to the communal conference rooms at NextSpace, there seems to be something for everyone at any budget, but a new co-working initiative designed for women is hoping to add a fresh alternative into the mix. One Roof is a roving collective of female entrepreneurs inspiring and supporting like-minded goal-getters through structured workshops, convivial dinner parties and casual collaborations in a home-like workspace away from home. In pursuit of their ideal location, co-founders Sheree Rubinstein and Gianna Wurzl have Airbnb'd through several of Venice's most magnificent homes. Among them, the historic Hobbit House on Abbot Kinney, and Villa Villakula, a post-and-beam architectural marvel where renowned landscape architect Jay Griffith once resided, and most recently, Rose On Palms, a double-lot bohemian retreat complete with carved-wood Indian furnishings and dreamy garden lanterns. Though the plan is to settle into a permanent HQ in Venice, the first One Roof gatherings were held in Melbourne, Australia where the founders met. Wurzl, an L.A. native, was living abroad and organizing events for female entrepreneurs. And Rubinstein, a Melbourne native, was using her legal background and business training to consult women who wanted to jumpstart a business. They were introduced through mutual friends and combined efforts under "One Roof." 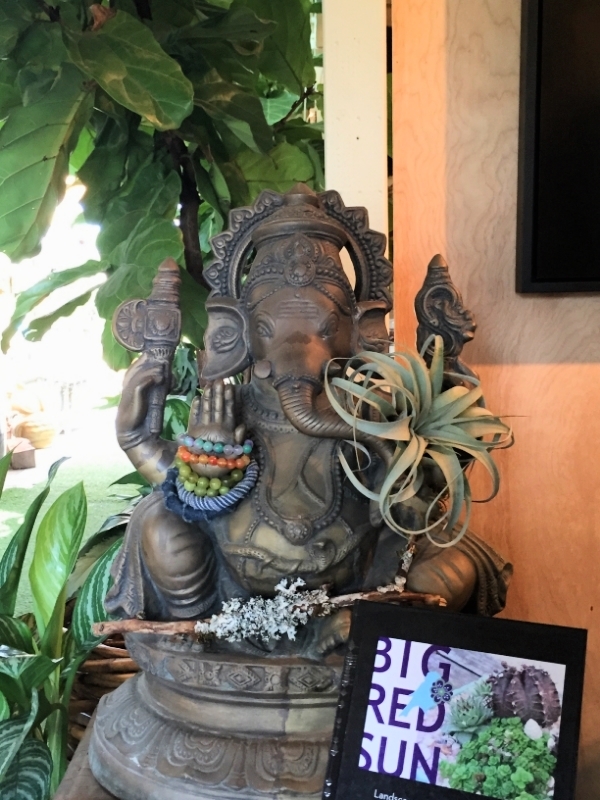 As of last week, they took up residence in Big Red Sun, the impeccably landscaped, cobalt bungalow on Rose Ave., which serves as a retail front and showroom for owner and landscape designer Selena Souders. Over the past few years, Souders has created somewhat of a hub for female entrepreneurs. Her friend M.E. Ster-Molnar opened a '70s-inspired clothing shop next door called ME & Blue in 2009, and not long afterward Stephanie Stuart debuted The Golden State, a lifestyle and home goods shop. The trio brought a new dynamic to Rose Ave. and led its transformation into the Venice destination that it is today. Earlier this year, The Golden State relocated to Lincoln Blvd., and ME & Blue gave way to another emerging designer Lily Ashwell, who's famous mom created that trend we call shabby chic. Now, with One Roof in the mix, the corner of 6th and Rose is generating a second wave of local female entrepreneurs. On the afternoon we visited, Rubinstein sat chatting with a client in the front garden, and Wurzl was preparing to host a workshop, "Starting a Biz 101." What makes their venture different, and effective, says Wurzl, is that women can come and get whatever it is they need in that moment—whether it's fresh perspective on an existing project or a short-list of action items to push a new idea to the next phase. They can attend a workshop ($25), purchase a daily pass ($35), weekly pass ($157) or monthly pass ($455), or pop-in for meetings ($5/hour). Just like the passionate, self-starters who come through their doors, Wurzl and Rubinstein are learning and adjusting as they go, building on the premise that there's more strength in numbers, especially when working together as one.